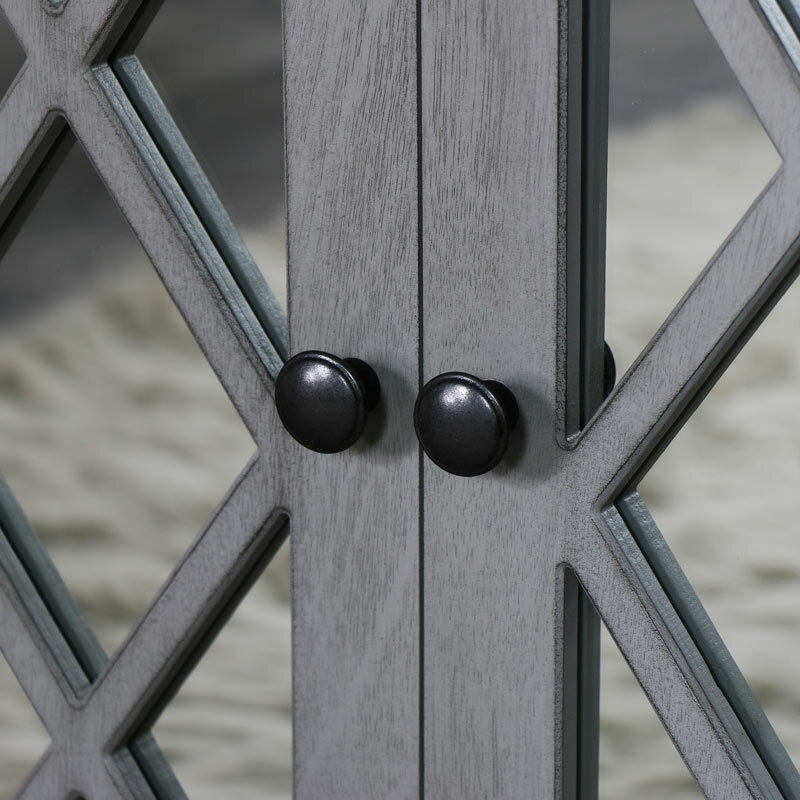 Part of the gorgeous Vienna Range, a mirrored cupboard unit, a stunning piece of furniture which will certainly add a little elegance and glamour to your living room or hallway. 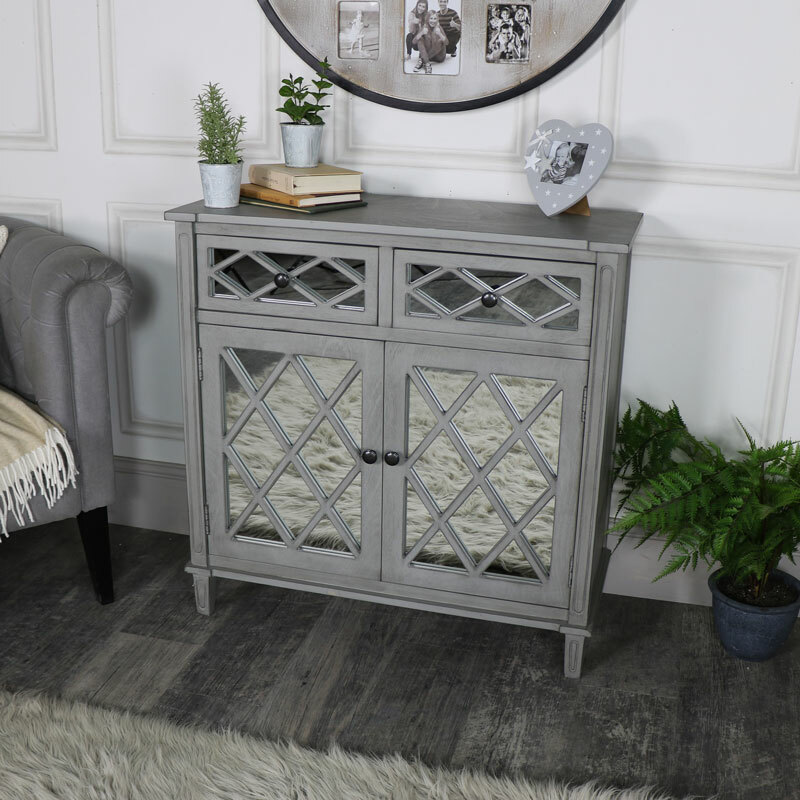 With a soft grey finish, 2 drawers and a cupboard with an internal shelf, this piece is the perfect way for storing your bits and bobs whilst keeping it stylish! With the storage side covered, this unit offers additional surface space and a place to display ornaments, floral arrangements or even a telephone with room for a notepad and pen. 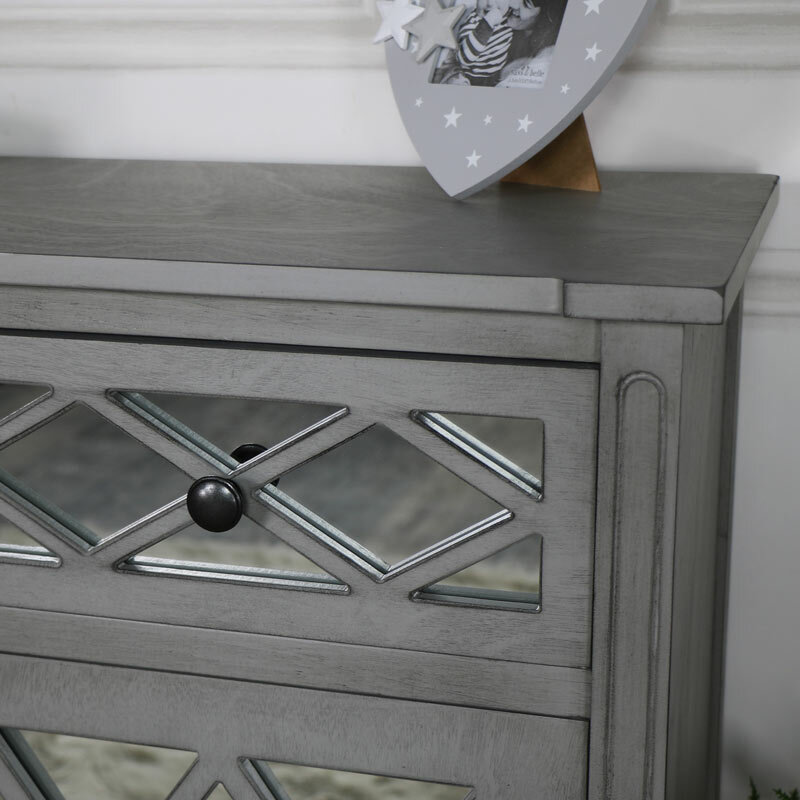 The front of the unit is ornately designed with latticed front and mirrored inlay on the drawer and cupboard fronts, that adds right amount of vintage elegance in an understated style that does not overpower, but rather enhances the whole look of this furniture. All finished off with small round brass knobs. 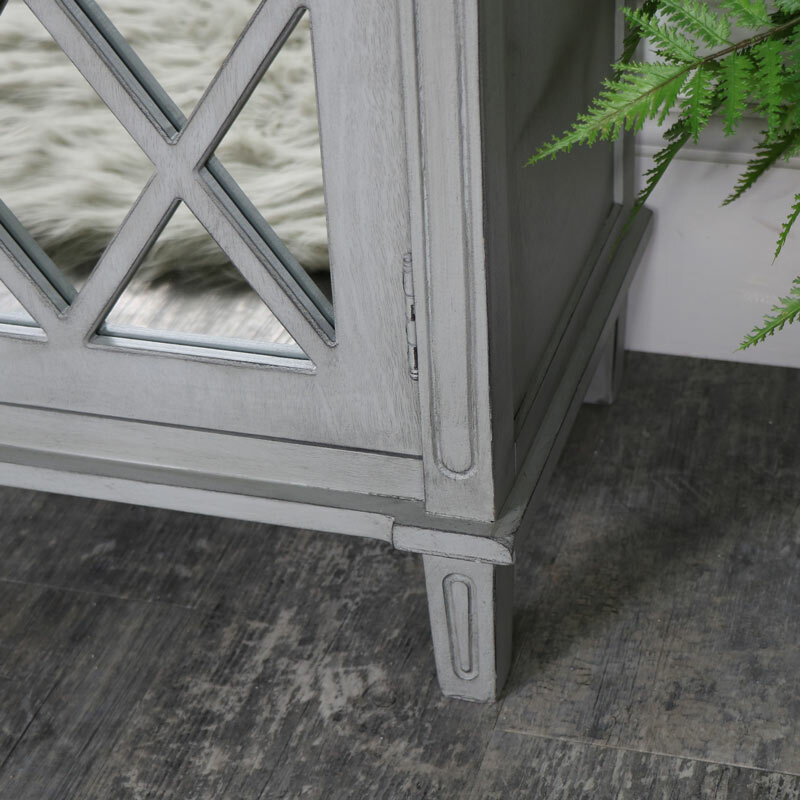 The body of the unit is made from wood and finished in a slightly distressed pale grey finish, the overall size measures at 81cm x 81cm x 35cm (width x height x depth) with the drawers each measuring at 32cm x 13cm x 35cm (width x height x depth) and the cupboard measuring at 76cm x 27.5cm (width x depth). The cupboard unit comes fully assembled so no need for fiddly instructions and time spent putting it all together, just unbox and place where you want. 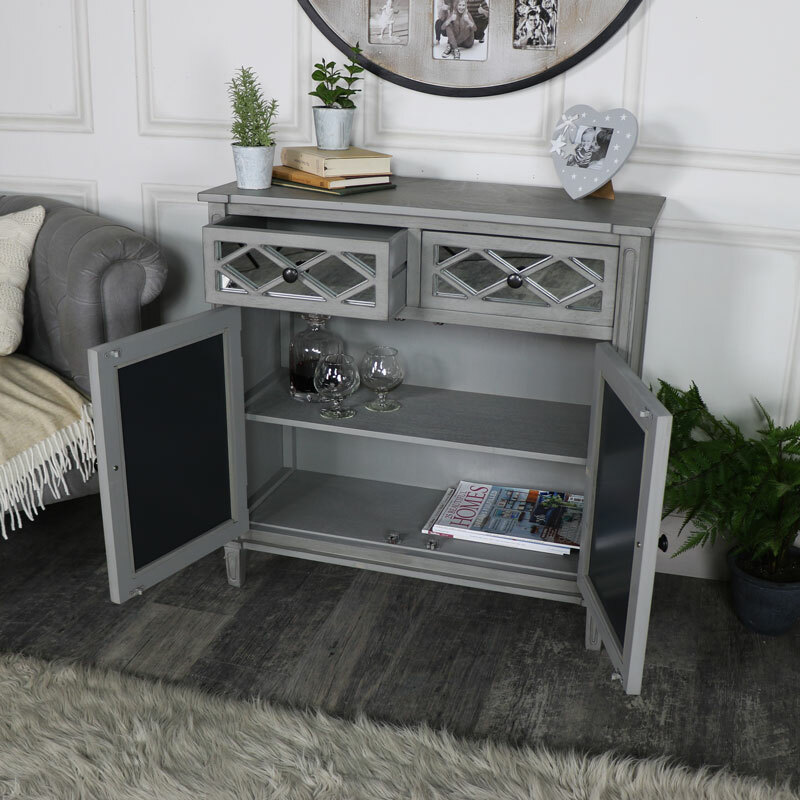 We have more furniture available in the Vienna Range, with a chest of drawers, spacious sideboard, console table and small bedside/lamp table, so you can create the style and living space that suits you.